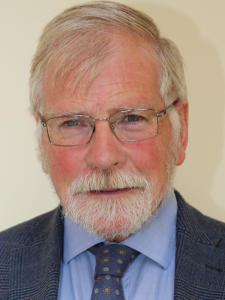 Former Chairman of RPS, and MD of MCOS Consulting Engineers, Kerry has nearly four decades’ experience of major infrastructural projects in Ireland, managing and providing technical guidance on major road projects, transportation studies, environmental assessments, water and wastewater engineering schemes. He was the author of the National Road Needs Study and involved in the design and development of the Motorway Network. His experience of infrastructure projects is a great asset to the judging panel. 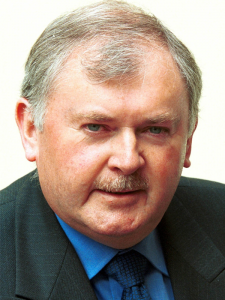 Kerry was President of the Association of Consulting Engineers of Ireland in 2007. 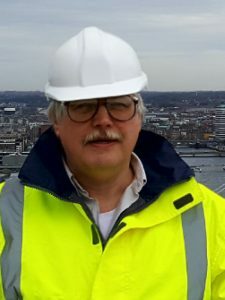 He has 25 years’ experience as an expert witness in public enquiries relating to water supply, wastewater, transportation, highway and environmental issues. 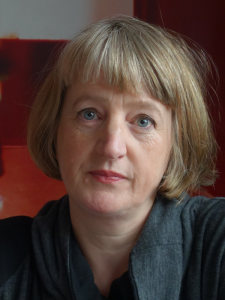 Award-winning Architect Angela Brady OBE is a director of Brady Mallalieu Architects, specialising in quality contemporary sustainable design. Angela brings her vast experience of design and creativity to the panel. Angela is an Architect, TV broadcaster and Design Champion. Angela co-wrote and co-presented the recent RTE TV series ‘Designing Ireland’ about Irish Architecture, Craft, Industrial Design and Design Thinking. She presented on ‘The Home Show’ on Channel 4. 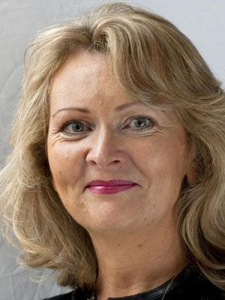 Angela is a Past President of RIBA (2011-2013). In 2016 Angela was awarded an OBE from the Queen and a PDSA the Irish ‘Presidents Distinguished Service Award’, both for services to Architecture. 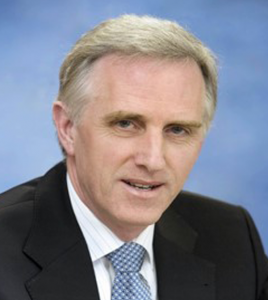 Sean McCarthy’s impact on the Irish Construction sector cannot be overstated. 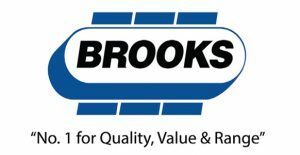 He has had a prolific career, with 40 years’ experience of successfully delivering extensive Programme and Project Management assignments with major multinational corporations in the semiconductor, pharmaceutical and heavy chemical sectors, including having headed major construction projects at Intel and Eli Lily. Notably, Seán worked on the Intel Ireland Leixlip Campus for over 20 years, his final assignment was the Site Manager of Construction with responsibility for leading and managing all project construction activity from inception to final handover on the campus. Dermot Clohessy is a Structural Engineer by profession with post-graduate qualifications in both Business Strategy and Financial Accounting. 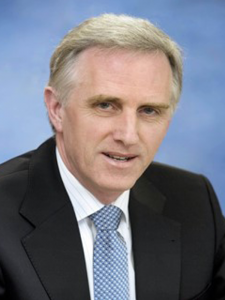 Dermot was COO and Executive Director of IDA from 2006 to 2015 and has an extensive understanding of Foreign Direct Investment having spent 28 years with IDA Ireland. His IDA leadership responsibilities included managing the Agency’s extensive property activities across the country working collaboratively with both the public and private sectors in the delivery of property solutions for both IDA and Enterprise Ireland client companies. Dermot brings engineering, construction and business expertise to the judging panel. Since leaving IDA Ireland in 2015, He has been working as a strategic advisor to a number of companies and institutions both in Ireland and overseas. He is also a Board Member of the Marine Institute. 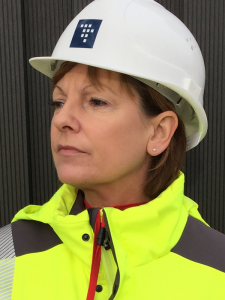 Dorothy Jones is a project manager with a great knowledge of the German Construction Industry having worked in the country regularly for nearly three decades, traveling to and from Germany on a regular basis, she now works for Turner & Townsend. She brings a wealth of international project management experience to the panel. Since 2002 she has worked as a project manager in Germany and Ireland and has worked on a number of high-profile projects. Dorothy worked for The Federal Office for Building and Regional Planning (BBR) in Germany and has worked on The Goethe-Institut in Dublin, and also for Rob Krier Architekten, Berlin; ipc Talkenberger GmbH, Lübeck; de Architekten Cie, Berlin; and Primark. Dorothy is also a part-time lecturer at University College Dublin. BScEng, CEng MIEI, HDip PM, HDip CLCA. 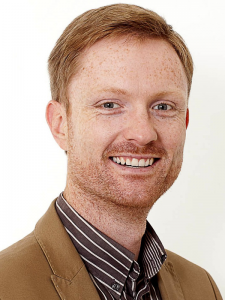 Phelim Devine is Design Director/Deputy Project Director of the National Paediatric Hospital Development Board. The new children’s hospital is the largest single investment in any healthcare capital project in Ireland. He brings to the panel his vast experience over the past twenty years in social infrastructure projects such as healthcare and also commercial projects. Before his present role, Phelim was a Director at Arup, leading the design of multidisciplinary building projects across multiple sectors but in particular healthcare projects such as Mater Adult Hospital redevelopment, the redevelopment of St Vincent’s University Public Hospital, the new St Vincent’s Private Hospital, and projects in the National Rehabilitation Hospital and St James’s Hospital. Phelim was Honorary Secretary of the Association of Consulting Engineers of Ireland from 2011 to 2014, and sat on the Executive Committee from 2008 till 2014. 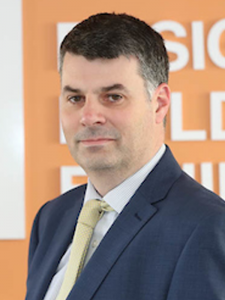 Appointed Head of Department of the Built Environment at Waterford Institute of Technology (WIT) in 2013, Derek is responsible for the management and strategic development of the Department, which offers programmes from Craft Apprenticeship to PhD level. He worked on large infrastructural projects before joining WIT as a lecturer in 2005. 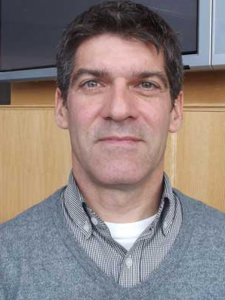 Derek has a broad ranging experience in Civil and Energy Engineering lecturing and research. He was Course Director and Industrial Placement Coordinator for the BEng (Hons) in Sustainable Civil Engineering, where he built strong industrial links. Actively engaged in national and international consultancy and research, Derek brings to the panel an extensive knowledge of Civil Engineering, Energy Management and Efficiency. Mark is the Senior Safety, Health and Wellbeing Manager for ESB Networks. His work involves managing all aspects of ESB Networks Safety Management System as it applies to ESB Networks staff, contractors, members of the public and others who may be affected by ESB activities. 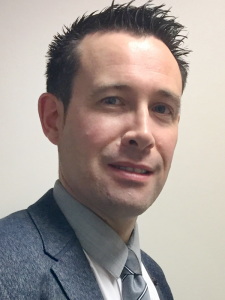 Prior to his current position, Mark spent 10 years in the Health and Safety Authority (HSA) where he fulfilled a number of key Inspector roles including the last 5 years in the Special Investigation Unit (SIU). In cases where the Office of the Director of Public Prosecutions directed criminal prosecution, Mark has fulfilled the role of expert witness during court proceedings. Tim Segal is the course coordinator for the Certificate in Building Information Modelling at IT Tralee. He has been lecturing at IT Tralee for 13 years, including a spell as Head of Department for Science and Engineering. He previously spent approximately 10 years working professionally as an Architect in Ireland and abroad. 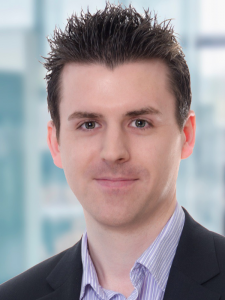 Tim is currently the Building Information Modelling Coordinator for the Estates Department at IT Tralee and is Co-Chair of the CitA South West BIM Region. A leader for BIM in the South West and an experienced professional and academic he will bring his broad industry knowledge to the panel. Niall Kane is Head of Digital Engineering at VINCI Construction UK. He brings international digital construction experience to the judging panel. Niall studied Architecture at Dublin Institute of Technology. Previous to his current role he was a GIS Specialist and Data Scientist at Skanska UK, and when he was in Ireland worked at Murphy Surveys as Head of Innovation and BIM Manager. Niall will bring excellent assessment skills to the application and use of Digital Construction Technology. Emma Hayes is the Group BIM Applications Manager for PM Group. Emma holds a BSc Honours Degree in Architectural Technology from Dublin Institute of Technology and an MSc in BIM Management from Middlesex University. 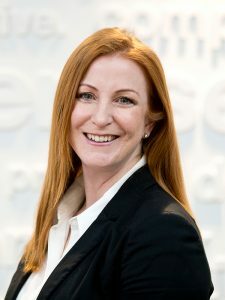 Emma has 20 years’ experience in the Architecture, Engineering and Construction (AEC) sector in Ireland and the US in Pharma & Bio-Pharma, Energy, Mission Critical, Food Processing, Residential and Commercial sectors. Emma has presented and spoken at international BIM events and recently presented at the 2017 CitA BIM Gathering. Kieran is the Health & Safety Consultant at Waterman Moylan Engineering Consultants with 30 years’ experience across AEC projects, he has engaged as PSDP for a number of major building and infrastructure projects. Prior to his current position, Kieran was the Tool Install Design Manager for construction projects on the Intel Ireland site for 15 years. Kieran was also responsible for the PSDP (and PSDS), coordinating safety in design across multiple concurrent Basebuild and Tool Install design teams, peaking at circa 350 designers. On Kieran’s last major project, (a Lean and BIM project), the Tool Install team achieved a NISO distinction award in recognition of the strong safety leadership and a recognition of the workplace health and safety excellence at a national level. 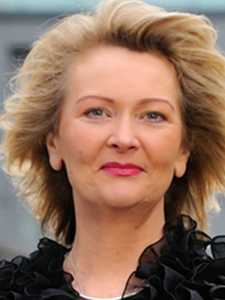 Kim Hegarty has 25 years’ industry experience, spanning across both Ireland and Australia. As an Associate Director at Linesight, Kim leads one of Linesight’s dedicated Cost Management teams, overseeing the provision of early cost advice, cost control, value engineering and procurement services. She has delivered innovative solutions to some of the world’s leading international clients, and her wealth of experience includes working on large-scale projects for clients such as Hardwicke, Kennedy Wilson and Arthur Cox. Having worked on a large variety of diverse projects, she brings to the panel particular expertise in commercial development and fit-out projects, as well as high-rise residential, high-tech industrial, warehousing and clean rooms, and extensive public parks. 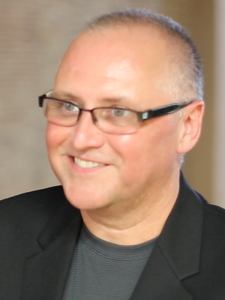 Paul Doherty is Chairman of theBIMcompany, President and CEO of the digit group, inc., and Co-Founder of the AEC Hackathon. Paul has a prolific portfolio of work in BIM and Smart Cities and brings his impressive BIM knowledge to the panel. His work is at the forefront of global construction innovation and digitisation. Paul’s digit group is master planning for Smart Cities, his current work is focused on Smart City real estate developments that include financing, design-build and technology solutions in the USA, Australia, Europe, MENA, India, Southeast Asia, and China. In China the digit group has a project pipeline that extends out 15 years with almost 300 Smart Cities to develop with Chinese partners. Ruth is Professor of Architecture and Director of Impact in the School of Natural and Built Environment at Queen’s University Belfast. Ruth previously practiced as an Architect in Belfast, Manchester, and Berlin. Ruth brings a great knowledge of collaborative design, innovation, and community involvement to the panel. A greatly accomplished academic, her recent work focuses on applied research based on an understanding of creative processes, inclusive strategies and pedagogical methodologies. Ruth is Director and Co-Founder of the Tactility Factory, an innovative award winning material development company. She is curatorial advisor to a Belfast-based arts organisation PS2 on two long-term projects with communities in Northern Ireland’s post-conflict context and in Street Society. 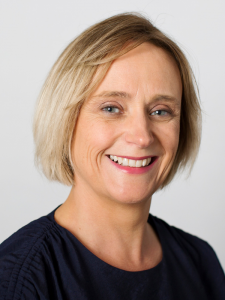 Fiona Campbell is a Senior Project Manager and Associate at Linesight, specialising in the management of landmark projects throughout Ireland and the UK. With an exemplary track record of delivering exceptional results under tight deadlines for a number of multinational clients, she brings her keen eye for detail and considerable experience to the judging panel. 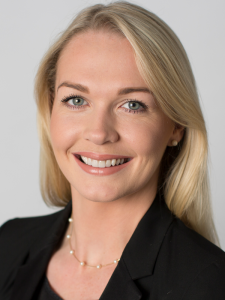 The broad range of clients for which Fiona has acted includes Targeted Investment Opportunities, Kennedy Wilson, Harrods, Dublin City Council, Epsilon Real Estate Partners, AbbVie Pharmaceuticals and Jazz Pharmaceuticals.